Announcing the Musical Jewelry Box Winner! 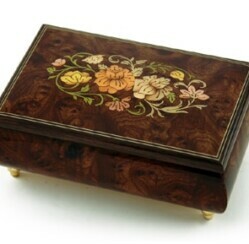 Home » Blog » Announcing the Musical Jewelry Box Winner! Christmasgifts.com thanks everyone who participated in our contest! There were so many great responses, it was a tough choice to pick the winner. Susan, our creator and owner of ChristmasGifts.com selects the winner at random. We are happy to announce our winner who won the Musical Jewelry Box Christmas Giveaway. Congratulations to Carol Diane Cross!